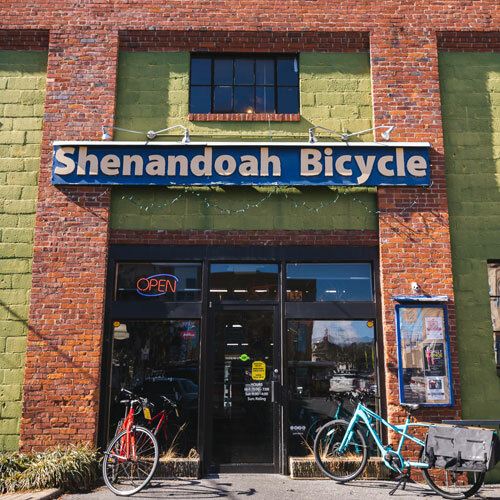 Visit us in downtown Harrisonburg for all your cycling needs. We service all brands. Free on-the-spot estimates. We’re always available if you have any questions. 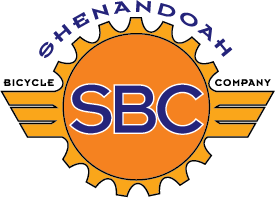 We are your local bike shop for repairs and service. Free on-the-spot estimates. YOUR BIKE SHOP SINCE 2000. WE SERVICE ALL BRANDS. OFFERING 24 HOUR REPAIRS. FREE ON-THE-SPOT ESTIMATES. Customer service is at the heart of our shop and has been our focus for twenty years. Our friendly and factory-certified staff will happily help you navigate the best choices for your purchase and service needs. Our passion for spinning wrenches professionally began in the 80s, back when bikes were relatively simple machines. Nearly 40 years later, mechanical complexity brings us the modern bicycle in countless shapes and sizes. Our shop owners, managers and staff have stayed committed to seeking education and hands-on experience along the way, allowing us to stay up-to-date with all emerging technology. What a ride it has been! From classic steel to the most recent e-bikes, we sell Trek, Kona, Ibis, Salsa and Surly brands. We service ALL brands. Free on-the-spot estimates. Our Service Promise is to provide exceptional service in a timely manner at a fair price. 24 hour turnaround on repairs (not requiring special order parts) is the foundation of our promise. We try to keep our product offerings well-rounded to meet the needs of any cyclist. Whether you’re racing road bikes, city riding, or spending long days on the trail, we have a bike for you. Founded in Waterloo Wisconsin in 1976, Trek has one of the most versatile line-ups on the market. From simple commuter bikes to high-end racing machines, Trek’s got you covered. Check out their website for product info. Hailing from Ferndale, WA, Kona places an emphasis on fun. Bikes that shred off-road are the name of the game here: think all-road, gravel, cyclocross, and mountain bikes. More details can be found here. Santa Cruz-based Ibis Cycles specializes in high-end mountain bikes. Whether it be cross-country racing, technical trail riding, or ripping enduro courses, Ibis has a top-of-the-line offering in every realm of the sport. Check out their site for details. "Adventure by bike" is Salsa’s slogan, and their product line-up reflects this. Whether you’re randonneuring, touring, bikepacking, or riding singletrack, Salsa makes a bicycle to carry you along the way. More information can be found on the Minnesota-based company’s website. No-nonsense utility is the essence of Surly. Steel frames, tons of eyelets for mounting gear, and durable component choices are featured on all of Surly’s machines. For bikes and gear that are reliable and designed for heavy usage, visit their website.